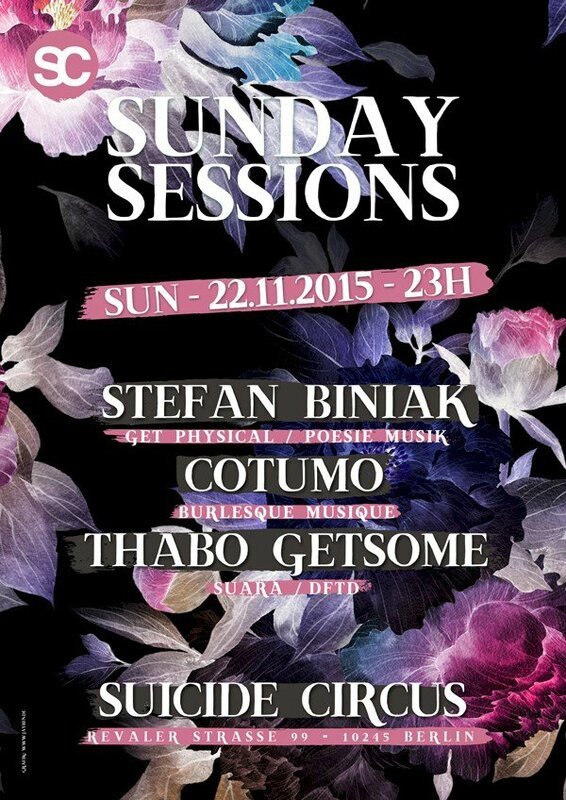 This event "Sunday Sessions" @ Suicide Circus has already ended on 11/22/2015. Here you can find upcoming events for this location! The ticket sales have ended on 11/22/2015 at 11:00 PM. The party ain´t over. Just when everybody is finishing the sunday thriller and monday depression is about to kick in, Suicide Circus is asylum to those who haven´t had enough yet. 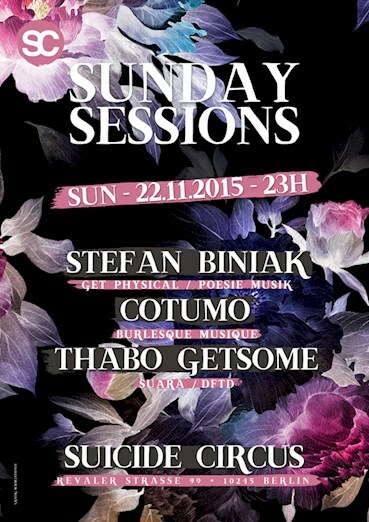 Techno and tech house at it´s very best with Berlin´s most appreciated artists.